Over The Influence is proud to present a new solo exhibition of internationally renowned artist Jerkface in New York. A prolific muralist, Jerkface is also one of the most readily identifiable artists in the global street art community. His first work of public art notably survived the whitewashing of historic 5pointz, and he remains a forerunner in that vein with one of the largest murals currently on display in New York City. The show at 393 Broadway will feature 9 canvas works, reinterpreting Jerkface’s works within the gallery space. 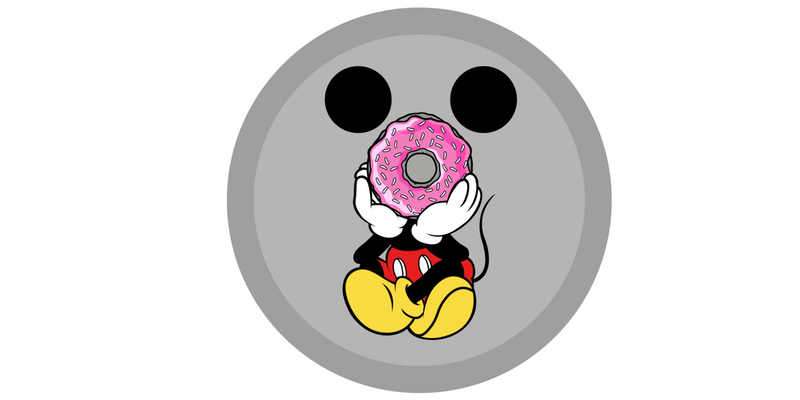 Nostalgic and subversive, Jerkface is a New York based artist most widely recognized for his playful re-imagination of pop culture iconography. 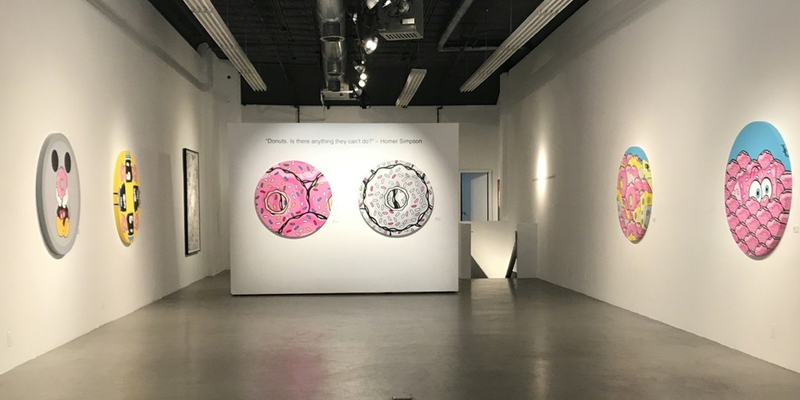 Employing the artist’s signature vocabulary of geometric abstraction and repetition, the new canvas works will take the motif of a donut, transmuting and reinventing the classic American treat into a feast for the eyes. 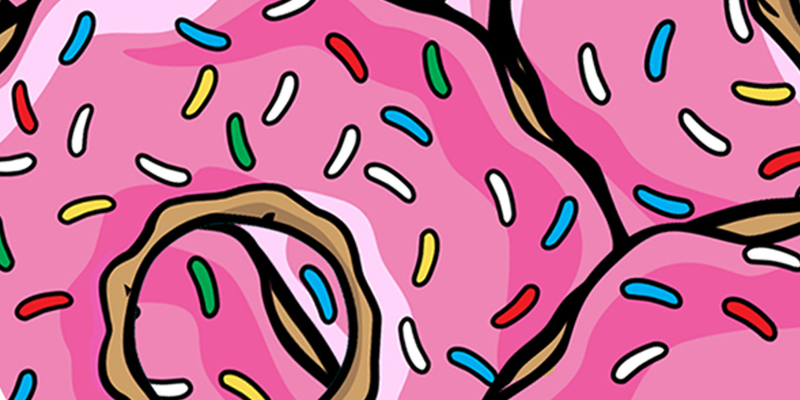 Borrowing from household cartoon characters to lend playful story telling within the thematic of donuts, Jerkface deftly manipulates preconceived notions of form into compelling visual narratives that inspire and surprise. Jerkface’s paintings become sophisticated meditations on color and movement, united by an unparalleled injection of emotion, energy, and unbridled optimism of youth. Unleashing the spirit of life through his curated compositions, the exhibition evokes a collective sense of joy, playfulness and innocence. Over The Influence is a Hong Kong based contemporary art gallery dedicated to artists who are engaged with the urban environment. The gallery was founded to showcase radical and dynamic artists from around the world, who are inspired by the context within which they work, such as Invader, Shepard Fairey, Cleon Peterson, Vhils, Enki Bilal, Abigail Goldsman, Huang Xiaoliang, Hikari Shimoda and more. Over The Influence is committed to fostering artistic discourse through dedicated solo and group exhibitions, institutional collaborations, as well as participation in art fairs across the globe. With a 3,000 sq ft permanent gallery space in the heart of Hong Kong, Over The Influence presents a spacious canvas for artistic experimentation and discovery. The pop-up exhibition of Jerkface will run from 16 – 23 June in New York, setting the foundations for Over The Influence’s permanent gallery space in Los Angeles, due to launch in Autumn 2018. Offering a lens into the diverse Gallery roster, the show will also feature a selection of notable artworks by Invader, Shepard Fairey, Nobuyoshi Araki, Cleon Peterson and Vhils.